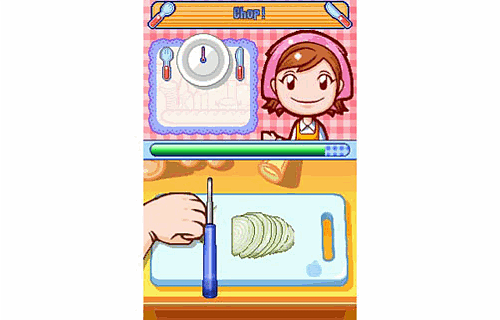 Learn how to cook with Cooking Mama on Nintendo DS! 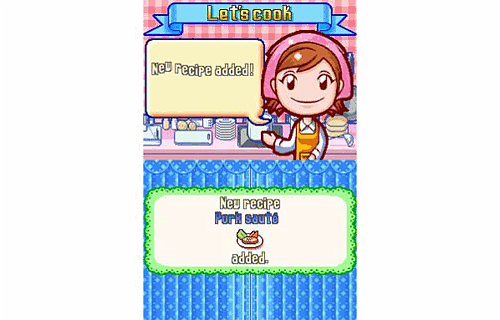 As a budding chef, in cooking Mama you must first prepare foods then combine raw ingredients together as you cook them on the stove. 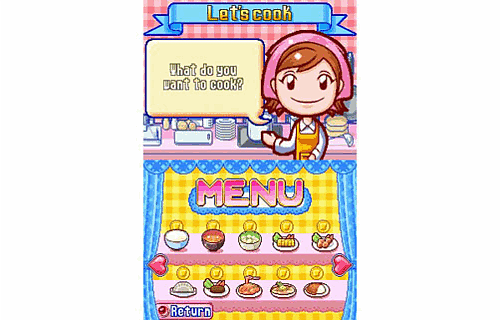 Learn how to cook with Cooking Mama on Nintendo DS! 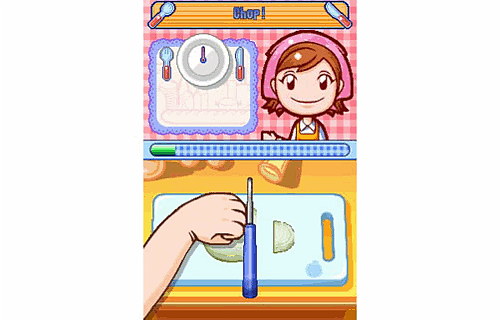 As a budding chef, in cooking Mama you must first prepare foods then combine raw ingredients together as you cook them on the stove. 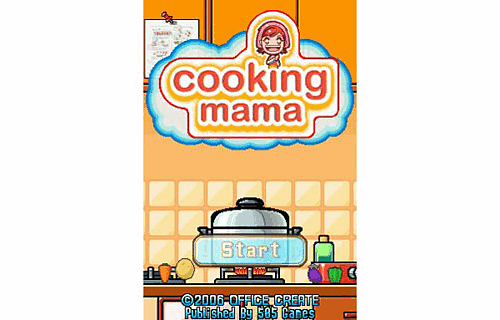 Follow real cooking recipes or experiment with your own combinations to cook a culinary masterpiece with your stylus under Mama's watchful gaze! 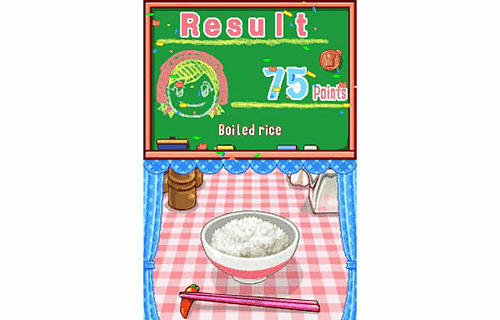 Cook 76 different, real world dishes: Master the first 15 recipes to unlock 61 increasingly complex bonus recipes to expand your cooking skills in the kitchen. The stylus is your master cooking tool! 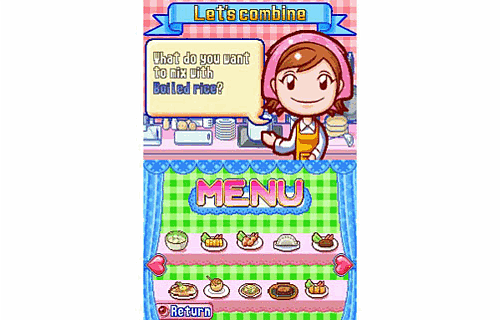 Use it in more than 200 mini-games to chop, slice, pan fry, knead, grate, mash, tenderize, mix, peel, carve, roll and more. 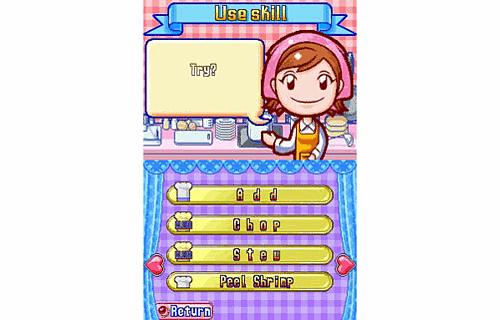 Once your dish is cooked, you can even use the stylus to prepare the final layout of your meal. 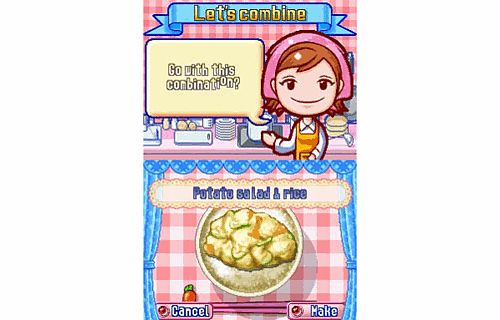 Cool cooked food down: Blow into the Nintendo DS microphone! 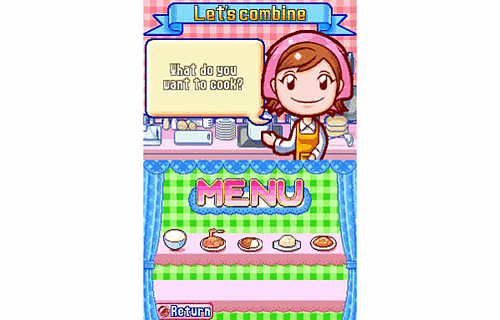 Cook for medals: Earn bronze, silver and gold medals in cooking Mama based on the quality of your cooking! 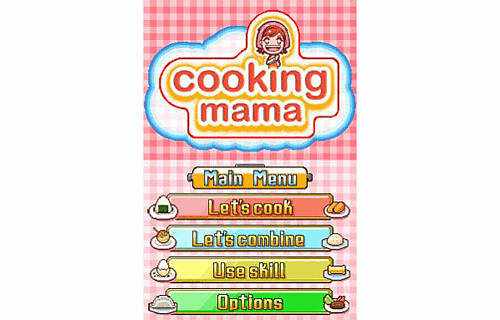 Practice Your cooking: Fine-tune your cooking skills in Cooking Mama's practice mode!